I am no way rich or wealthy. But since childhood I learned how to protect wealth. By seeing people clinging to to their every belonging and calculating every way of saving money or protecting money from draining out. I chalked my plan to save every bit and protect my wealth, whatever I have. I will try to formulate my strategy in this article. This is not all you should do. But, I am sure if you take cue from the points below you would do a ton of good to your wealth and money. You must have read plenty of rags-to-riches stories. Let me tell you there are enough riches-to-rags stories as well. As they say becoming champion is easier accomplishment than staying as a champion. Probably becoming rich is easier to achieve than staying rich, must the same way. I am no way undermining the struggle, sacrifice and hard work that go in to make someone rich. Unless you are born to rich parents or you are like Mark Zuckerberg, Probably you’ll become rich in your mid life.After struggling for at least two decades. Naturally you’ll like to spend more at this stage and try to fulfill all unfulfilled desires. There comes the biggest challenge to staying rich! While attaining financial stability and becoming rich are some of the most difficult things, remaining there has turned out to be impossible for many. Many people have become rich and lost because of focusing on investments that promise great results in no time. Others have taken a downward trending graph in their richness because of legal liabilities. Here are five things to take care to stay rich and wealthy. When you become rich, you are also likely to lose more in case of legal suits. Indeed, even simple cases such as car accidents and slips in your house could turn into key search for fortune by opportunists. You can remain rich by avoiding these liabilities only by ensuring that they are fully covered by the right insurance companies. When these cases, whether minor or major inevitably arise, neither your status nor your riches will be affected because adequate legal representation and coverage will be provided. Remember to take time in search for the best insurance company that covers all the liabilities that are likely to befall you. When you become rich because of the position and perks you get at your workplace, you need to be very alert. You must understand that disasters can strike, you can get laid off, or even get an incident that makes it impossible to work. This can easily drain your resources consume accumulated riches. It is prudent that you carefully establish income generating enterprises to substitute your income. This will help your income to grow and protect you in case you loose employment. Remember that you do not have to leave work to run your business. You can employ a manager to run it. When people get rich, it is true that the temptation to get richer remains ever high. This is made even worse by the fact that rich people often get high-risk investments that promise higher returns within a very short period of time. However, many of these opportunities turn out to be fraudulent, or even hyped so that you easily get into key resources. It is important that you avoid these types of investments by undertaking inherent research on the opportunities you venture into. You could also hire an investment consultant to help you identify the real and beneficial investments to get into. When many people get rich, they believe it is time to enjoy life. Often, they take unnecessary holidays, buy expensive cars, and other items. This can easily drain your resources especially when you fail to account the implications on the long term. Financial literacy is very critical to maintain your wealthy status. You should learn to budget and evaluate the ventures you get into. For example, go for a vehicle after carefully analyzing its fuel economy and spares availability. If you carefully budget and make sure to always leave some space for savings, you are assured of remaining rich. After getting rich and your investments start making even higher returns, most of your staff and senior managements can become lax. This can be a major threat to your business and richness. You need to be more vigilant about your business and assess all the financial reports frequently to identify anomalies. You could do this by working with reviewers who can identify loopholes and rectify them before they become major problems. Before ending this article, want to be somewhat philosophical. Being wealthy, to many, means enjoying life to the fullest. Not merely aggregate monetary balance in your checking accounts and investment accounts. If you find that secret treasure trove called “forever-being-happy” without even being monetarily rich, I would say you have found the true richness. In that case forget all above, well most of it, and train your mind to be happy with whatever you have. Self containment with less is also not an easy state to achieve. At least I don’t know how to feel satisfied with less. Perhaps I would continue to focus on monetary aspect of richness. If I can fulfill a state where my family and I can afford to have all materialistic objects we wish to have I would know that I am rich and I’d try to stay rich by following the guidelines above. 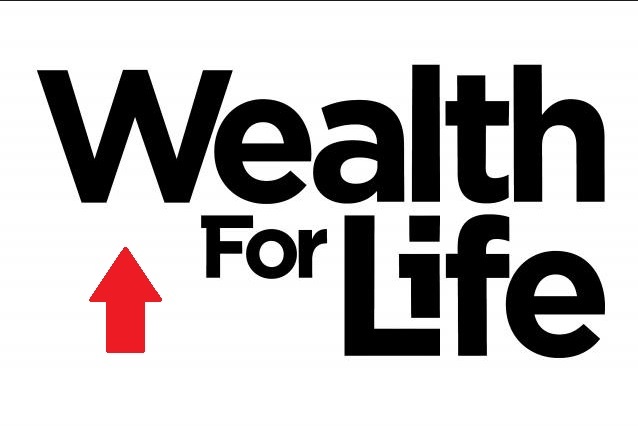 Readers, what do you think is most essential to keep wealth protected. We tend to loosen up the tight string of frugality once we have more money. How do you want to control the increased spending urge that generally comes with having more money? I think you’re right about #1 on the list. Far too many people just ignore the reality that others can grab onto and take away money, while the person who earned it is oblivious. Best to be careful when getting entangled with others, and its smart to identify risks and manage them carefully. This is something many prefer not to think about, but need to! I make it a point to diversify my income streams each year. I don’t want to just rely on my paycheck from my 9-5 job as my sole source of income. The extra income now is great because I don’t need it. But in the off-chance that I do need it, all of the hard work building it up over the years will pay off immediately. All of these tips are spot on, great advice on maintaining wealth. Great tips. I especially like the second #2 about avoiding exotic investments. I like your last point that wealth is not entirely about your cash balance in the checking account. Wealth is also a state of mind and if you are not comfortable with money, simply having more may not make you feel wealthy! Great tips. With tip #1 I’d add be careful who you marry! “Gold diggers” are out there waiting to lure men and women out of their cash. #4 applies to everyone -set a budget for the short and long term. Without a plan, cash can quickly slip through your hands. I have noticed that when people are obviously well off, there are those who want to borrow money from them or expect outright gifts of money or possessions. While it is good to be charitable, it can be overdone especially when unscrupulous people are involved. It is probably better to not flaunt wealth. I completely agree with your point #2. I think this is valid even if you are not rich. At least I am always striving to be finding new ways how to generate income without me working for it. I also cannot afford stop working now or be disabled. Having an extra income from other sources would help a lot. I guess it is a matter of being disciplined in spending money. We always have to think of the future rather than spending way too much of what we can afford and getting into debts instead.